Brought up in Coniston and based in Loughrigg, near Ambleside in South Lakeland, Stephen Grindrod began his career as an apprentice in 1984 and has been established as a high-quality builder since 1988. In that time, he has gained an enviable reputation as an artisan, creatively blending time honoured traditional and cutting-edge contemporary using materials sourced from the Lakes and surrounding areas. 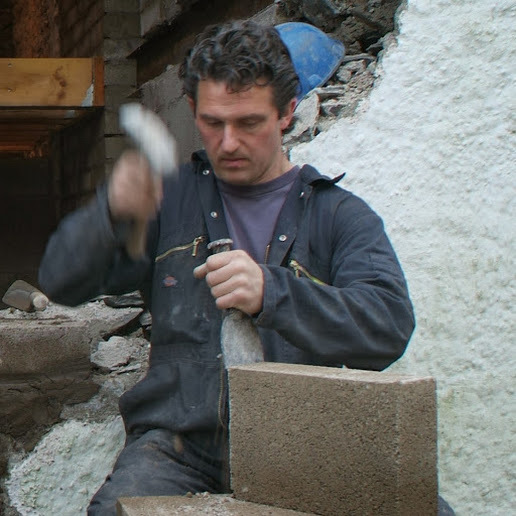 Stephen's team is made up of his Brother Mike (a skilled builder and stone Mason) and Joe (trained with Stephen since being his apprentice) and a trusted group of time-tested architects and local craftsmen to bring about the best possible results. His select list of subcontractors includes joiners, blacksmiths, stonemasons and stained glass artists, all of whom contribute to creating a unique project. As Stephen says, "Attention to detail and quality has always been my ethos. Creative, quality work is timeless; it can add character and value to your property." Great communication is essential to a successful project and Stephen will meets regularly with his customers to discuss progress and details. 'We understand the need for flexibility in a build, you may need to alter the original plan when you see the job unfold'. For financial peace of mind, Stephen produces a fortnightly statement that clearly indicates where your budget is being spent and highlights how the project is progressing towards the overall estimated budget. 'We want to create beautiful, timeless, sympathetic and functional work, our aim is to leave a legacy of top craftsmanship for you to love every day and that will be appreciated by future generations.' - Stephen.